Our campus has a sanctuary for egrets. In the summer, one can see the beautiful white egrets perched on the trees by the lake –beautifully white on a green background. The campus has provided the egrets with a safe haven where they can freely get food and not fear being hunted. True, a lot of of people — students and tourists alike — take pictures of them, but there is no threat. As winter is approaching, most egrets migrate to the south where it is warmer, like my country. 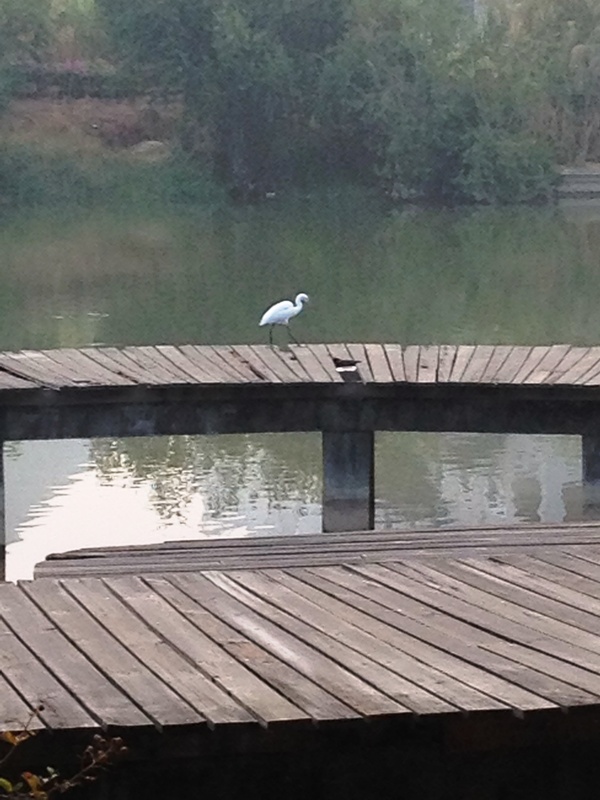 Walking to work the other day, I saw this lone egret on the wooden bridge. I looked around for other egrets, and there were none. I strained my ear for the kraaa-aaa sound, but there was none. I’m always guilty of overthinking things and over-empathizing. I imagined what it is like for the egret if it has really been left behind by the other egrets. Let’s call the egret Trista. Is Trista happy that she can have all the food she wants as she has the lake all to her self, after all it really is not winter yet? If she has parents and siblings, is she happy that she can finally do what she wants to do without them watching every move she makes and criticizing her for not doing things well? Did she choose to stay, or had she no choice but to stay? Perhaps when evening comes and it is time to sleep, Trista will begin to feel the pang of loneliness. As it gets darker and she sails through the sky alone, and she looks down and sees human families relaxing at the well-lit park and lovers sitting close to each other on the wooden bridge on the lake, maybe she will feel so alone. And lonely. When she goes back to her home where her mother’s constant nagging used to annoy her, and her siblings never-ending chatter used to drive her crazy, does she wish they had not left, or that she had left with them? I watched its movements and thought it was really enjoying its time. Or maybe it’s just my imagination. 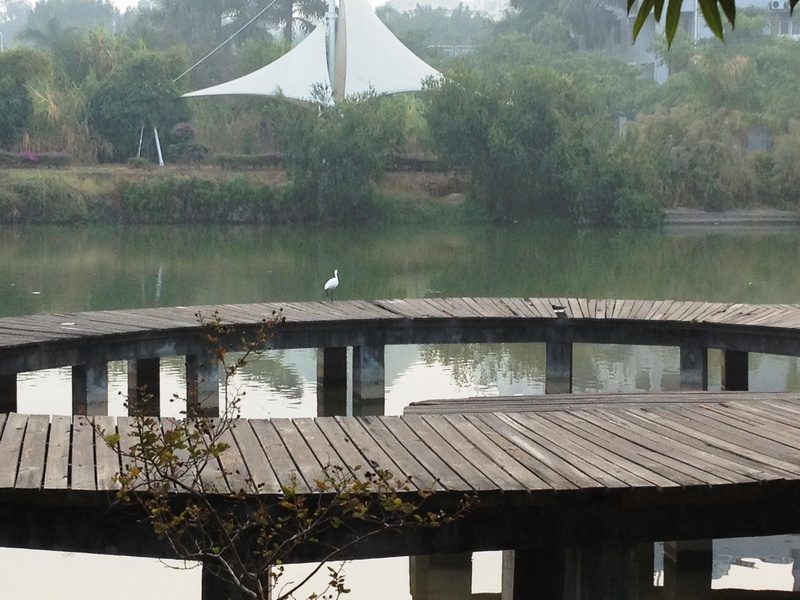 This entry was posted in Places, Thoughts and tagged birds, campus, egret, empathy, family, freedom, home, imagination, Jimei, loneliness, migration, moving on, staying, witch. Bookmark the permalink.